Asmodee Games are the makers of some pretty big hits, including the video games adaptations of Pandemic, Ticket to Ride, and Mysterium. The developer now has two new games out on the Play Store, both of which look pretty good. Mage the Ascension: Refuge is a role-playing game set in Sweden. It's set in the present day and features political upheaval, which by now we should all be used to. In the game, the power of True Magick can change reality based on the force of belief, which obviously has some pretty big ramifications for the world at large. You need to control this gift as you advance through the world, choosing whether to use it for good or evil. The story is written by acclaimed author Karin Tidbeck, so the plot and narrative should be strong. 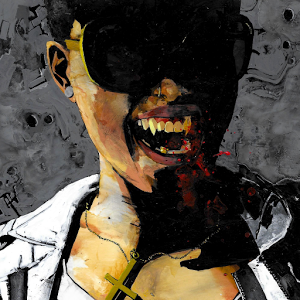 The other game, Vampire: Prelude, is a decidedly different affair. Told entirely through mobile messaging, the player, as a vampire, needs to decide whether to leave the world behind, or carry on with life. This game is a prequel to classic role-playing game Vampire: The Masquerade. Like Mage: Refuge, Vampire is written and illustrated by Zak Sabbath and Sarah Horrocks, an award-winning author and illustrator. Both games are available on Google Play for $4.99. Neither has in-app purchases and both sound like they have great story lines, so if you're a fan of immersive games, go get them now.